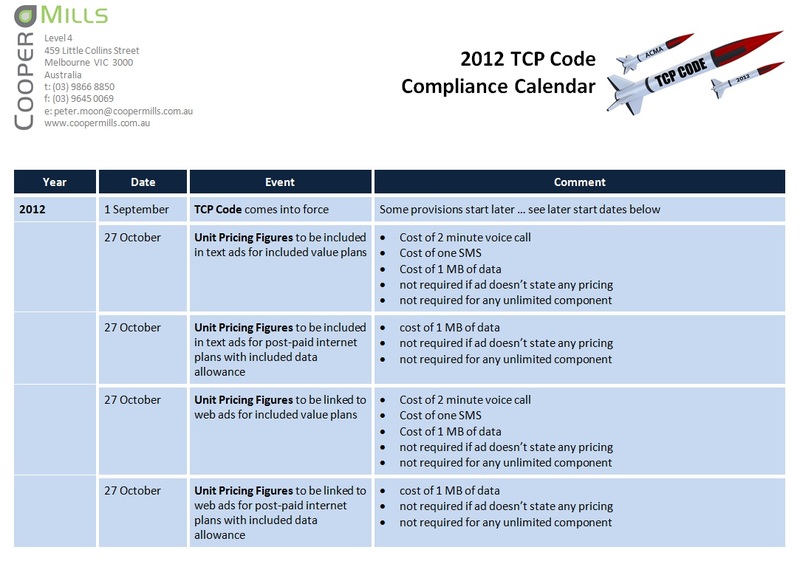 The 2012 TCP Code is heavily date-driven. Initially, different parts come into force at different times, with some as soon as 1 September 2012 and others as distant as 1 September 2014. In between, there are plenty of other key dates, and an annual reporting cycle soon gets rolling. 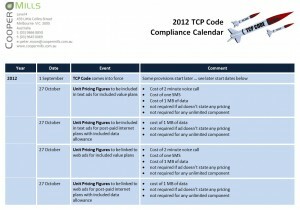 To help telcos understand the timetable that lies behind the Code, we’ve prepared the 2012 TCP Code Compliance Calendar. Keep a copy posted in your office so you’re always aware of what’s around the corner. 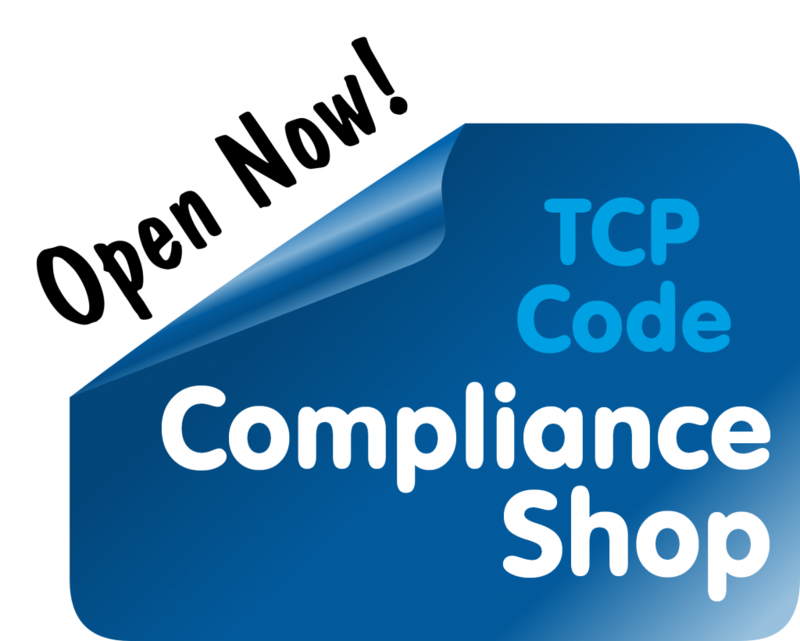 This entry was posted in Backgrounders and tagged compliance, dates, tcp code. Bookmark the permalink.